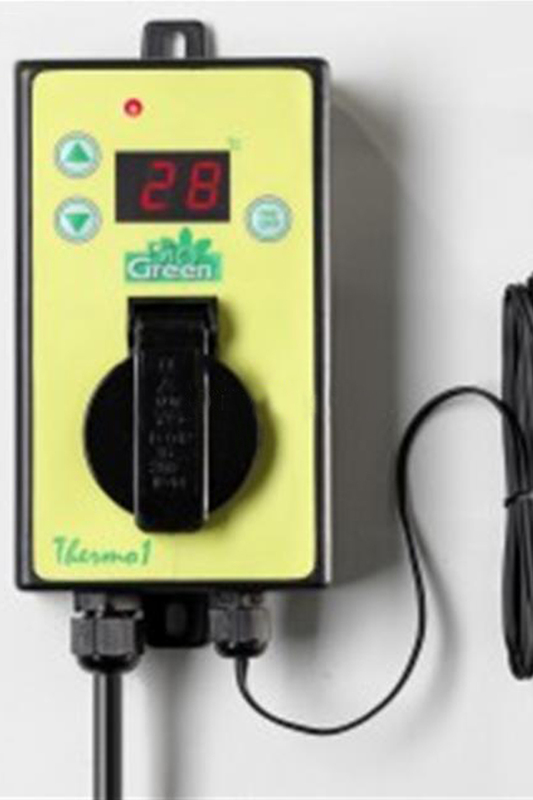 Precise, reliable and simple to use, the Thermo 1 is an adaptable thermostat designed to work with a full range of heating devices, providing simple, easy temperature regulation for your greenhouse. With Thermo 1, all you have to do is connect your chosen heater to the device and set the required temperature. The thermostat will then handle the rest, thanks to its built-in sensor – leaving you free to concentrate on the more important jobs around the garden! Great for heat mats and electric heaters.